Nike’s Elite Youth Basketball League has been running strong for quite some time, helping some of the best players in the United States grow into top college basketball recruits along the way. 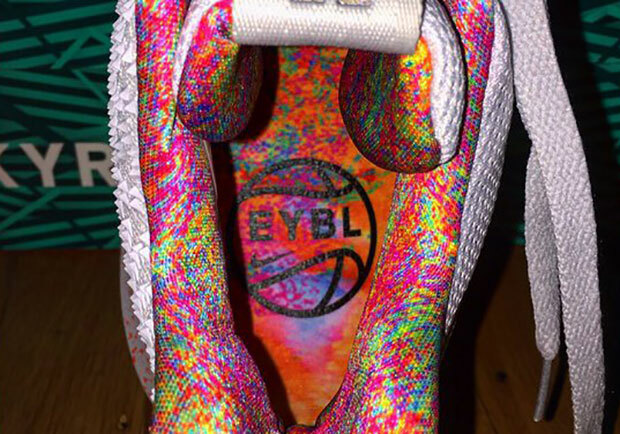 It wasn’t too long ago that we saw the Nike PG 1 EYBL previewed in all of its iridescent rainbow speckled glory and today we get a look at the Nike Kyrie 3 made exclusively for the Swoosh’s youth basketball initiative. According to Portland Basketball on twitter, this Kyrie 3 EYBL PE will be exclusive to the 40 Nike EYBL programs throughout the United States and won’t see a regular release at retail. Check out a full preview below and we’ll keep you updated if that changes right here on Sneaker News.